London South Bank University welcomes and encourages students from all over the world to study with us. We offer a range of scholarships for our international students and some of the awards outlined below can be combined for greater discounts. Some international students may also be eligible for the other scholarships we offer to our undergraduate and postgraduate students. This year LSBU is offering scholarships and discounts to hundreds of students via our International Scholarships. The International Merit Scholarships offer students pursuing undergraduate or postgraduate taught programmes with outstanding academic profiles a fee reduction of up to £4,000 on the first year's tuition fees for those who meet the criteria. 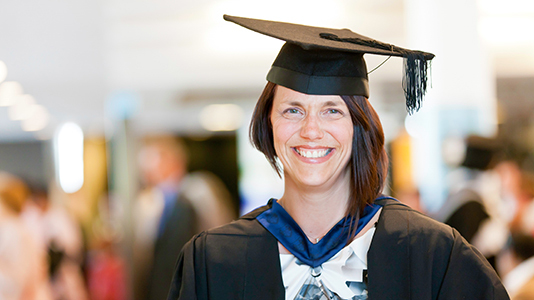 As part of our commitment to supporting our students' future career success we offer postgraduate Tuition Fee discounts for LSBU graduates progressing directly onto a postgraduate course and eligible alumni. LSBU is offering scholarships in the form of a 25% fee reduction to ONCAMPUS London South Bank students progressing to university degree programmes. For those who meet the criteria there will be a 25% discount for each full academic year of study. ONCAMPUS London South Bank students who do not meet the criteria will be eligible for the International Scholarships on progression to an LSBU degree programme. The Benjamin A. Gilman International Scholarship offers thousands of scholarships for students who are eligible for Federal Pell Grants at their home institution. The deadline for Spring students is in early October. The deadline for Summer and Fall students is in March. As a BUTEX affiliated university we are able to offer you the opportunity to apply for the £500 BUTEX International Scholarship. The Scholarship is open to all International (non-EU) Study Abroad students who are not funded by an ERASMUS grant. To be eligible to apply you must have been offered a study abroad place here. The deadline for applying for this scholarship is mid-June every year. The UK Government's global scholarship programme is funded by the Foreign and Commonwealth Office (FCO) and partner organisations. The Scholarships offer nationals from a variety of countries highly coveted opportunities to study for a Master's degree at a UK university. They can develop their skills, create new networks, strengthen their opportunities and expand their horizons. Application information is on the Chevening website. The Foundation for Global Scholars attempt to inspires and equip young adults to tackle global challenges through international experience, leadership skills, and cultural competence. They offer various scholarships. The Fund for Education abroad are committed to increasing the opportunities for dedicated American students to participate in high-quality education abroad programmes. They offer many scholarships for various amounts. Each semester, Go Overseas offers scholarships to Study Abroad students based on the creativity and analytical thinking demonstrated through writing samples and/or video submissions. Tortuga Backpacks believe that students deserve to experience the world beyond their college campuses, but appreciate that not everyone can afford to travel. Funds may be used for tuition, accommodation, books, or travel. Deadlines are in May and December. Take a photo that captures what you learned (or want to learn) from studying abroad, write a short description of 100-200 words, and you could win a $500 college scholarship. There are various deadlines throughout the year.